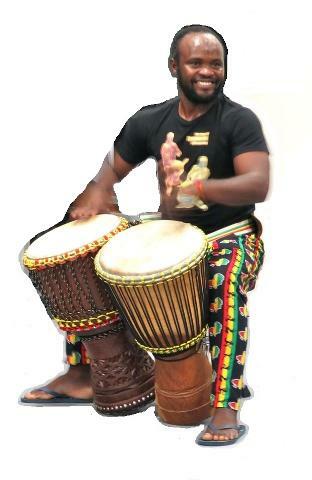 Take some time out and come and immerse yourself in the rhythms and culture of West African drumming and dancing! 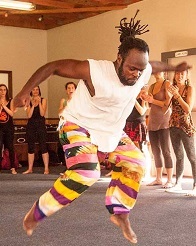 This annual retreat caters for all levels – supporting newer drummers and dancers while challenging experienced participants to improve technique, build stamina, and deepen their understanding of West African music. 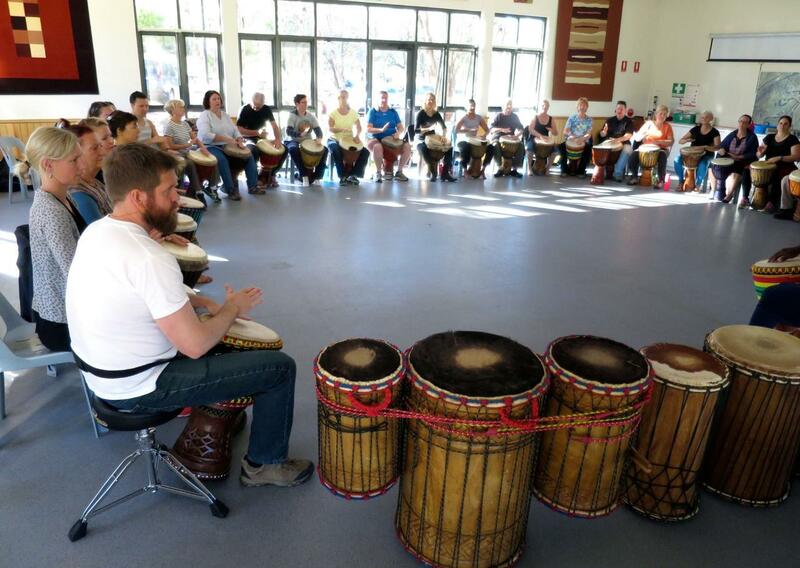 Aside from the clear musical and physical benefits, a retreat provides the ideal setting for connecting with others who enjoy this art-form as much as you do. Balance the high-energy drum and dance sessions by taking part in a yoga session; enjoying a bushwalk; nourishing your body with delicious meals prepared by guest chef, Sid Stolk; relaxing on the lawn with a good book; or having a massage with the onsite massage therapist! 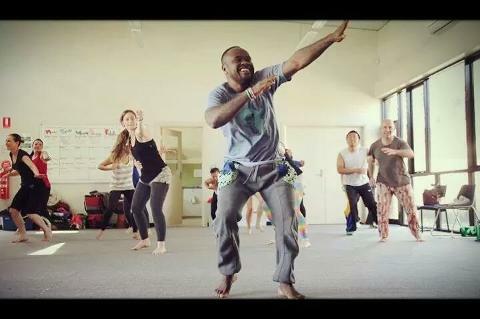 A three-day escape from the daily grind into a world of music and dance – good for the mind, body and the soul. Treat yourself! Mohamed Bangoura (AKA Bangourake), from Guinea in West Africa, is regarded by many connoisseurs as one of the best master drummers in the world. His life is totally dedicated to passing on the music and culture of his people. All participants will have the opportunity to learn from Bangourake and experience his charismatic teaching style and sheer musical brilliance. 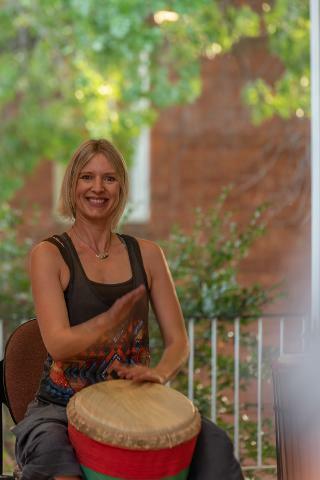 Kate Gascoyne (organiser of the retreat) will be supporting Bangourake with teaching drumming classes – ensuring that less experienced drummers get the guidance and support they need. A student of Bangourake’s for 10 years and a highly experienced teacher, Kate is known for her enthusiasm and ability to explain the music and technique in a way that has people grooving along in no time. Camp Cottermouth is in a peaceful bush setting 15 minutes from Parliament House. The camp borders the Murrumbidgee River and is located in the Cotter Precinct, an area of the ACT known for its natural beauty and panoramic views of the nearby Brindabella Mountains. Bring your walking shoes if you want to enjoy a lovely bushwalk! Accommodation is cabin style with each cabin, divided into two or three rooms, containing 10-14 beds (bunk style). All cabins have bathrooms. If you would like to ensure that friends are in the same cabin as you, please note this when completing your online booking form. 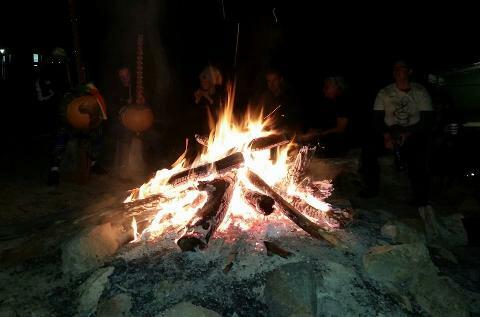 The camp address is 1435 Cotter Rd, Stromlo, ACT. 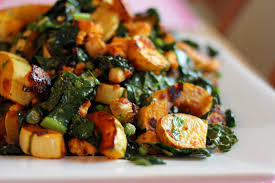 Blue Mountains-based chef, Sid Stolk, will be preparing delicious gourmet vegetarian meals. His food not only tastes delicious but makes you feel fantastic! Sid has been catering for over 15 years and has worked as a chef in health resorts. Please bring your own fruit and snacks for between meals. 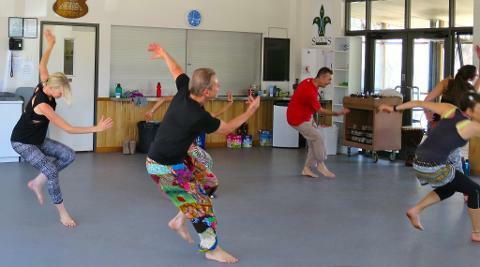 The retreat price includes drum and/or dance tuition, yoga, meals and accommodation. The dundun dance class is free for all to have a go! For early bird prices, pay your $100 deposit before 19 July 2019. Balance due 23 August 2019. Please complete one booking transaction per person (no booking fees apply). You will complete your retreat registration form as part of completing your booking transaction. Please read the terms and conditions details regarding the payment and refund of deposit and fees.